Saturday: The festivities honoring the 50 and 60 year classes begin at 5:30 p.m. with a reception to renew old friendships followed by dinner and a time for sharing of experiences during the past 50 years. Sunday: Worship service at 10 a.m. in the Augustana Chapel. At noon, a buffet luncheon is served in McCormick’s Ender Lobby. Group photos are taken in the Augustana Chapel at LSTC prior to the afternoon commencement at St. Thomas Church. 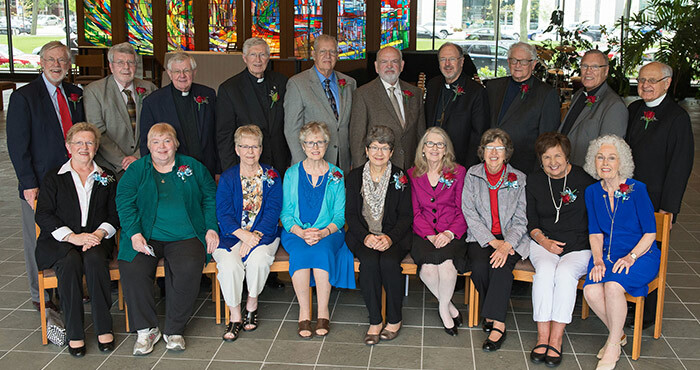 The 50- and 60-year reunion classes process with the seminary and are introduced and honored for lives of service and ministry. A reception follows at LSTC. A second option is to plan your own LSTC reunion on site or off. Contact Jennifer if you’re interested in a gathering.